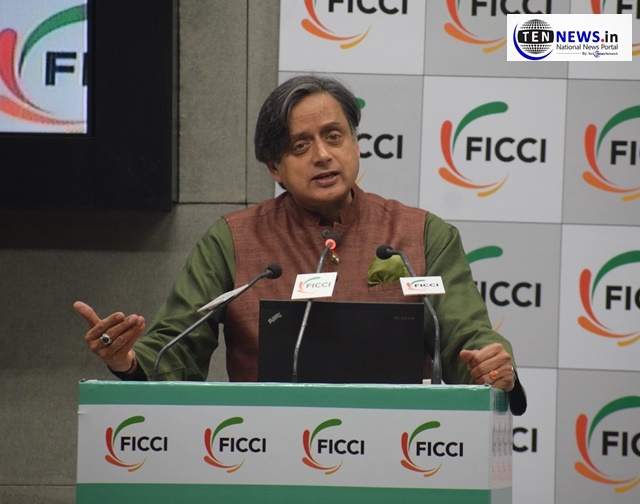 New Delhi:FICCI Art & Culture Division has organised its third annual conference on “Smart Cities, Art Cities” on February 12, 2019 at FICCI, New Delhi. The astounding conference was joined by Congress MP and Chairman of the Parliamentary Standing Committee on External Affairs, Shashi Tharoor, Sanjoy K Roy, Co-Chair, FICCI Art & Culture Division, the event was also supposed to be joined by Minister of State (Independent Charge) for Culture and Tourism and Civil Aviation, Mahesh Sharma but due to some urgent meetings Sharma was not able to join the conference. FICCI’s vision is to enable and support an ecosystem for sustainable art and culture and its purpose is to bring organisations and individuals together to find sustainable solutions for art and culture through a platform for corporates, civil society groups, government, financial institutions, media, experts etc. Smart Cities, Art Cities will provide a unique forum for reflecting on and defining the management of arts and culture. It will serve as an access point for discovery, dialogue and inspiration between individuals and conglomerates. The aim is to make Art and Culture an integral part of a Smart City and also to revive dying Indian arts and infuse in them a new lease of life. 17 Killed, 2 Injured in Massive Fire break out at Delhi’s Karol Bagh hotel!